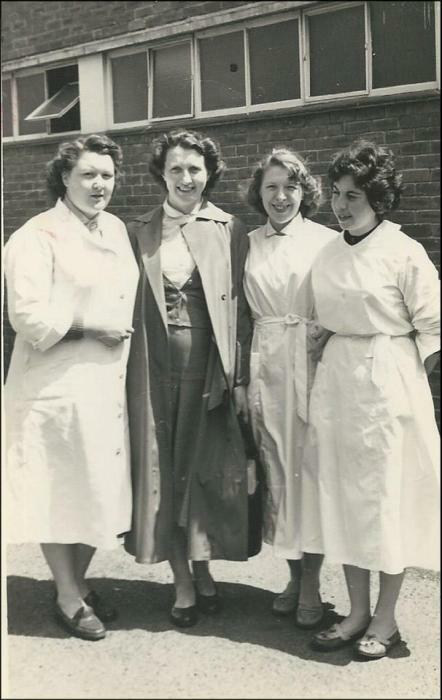 Eirlys left school at 15 (1964) and started in Pullman’s Flexolators, making car seats, springs etc. Everyone got on there. Smoking while working. Paying Union fees but not the % to the Labour Party. Dirty work. One dangerous job because of acid - coating things with paint. Teasing young workers – fetching elbow grease. She learned to live there. Lots of swearing. She heard about the Aberfan disaster when in the Alan Paine factory. 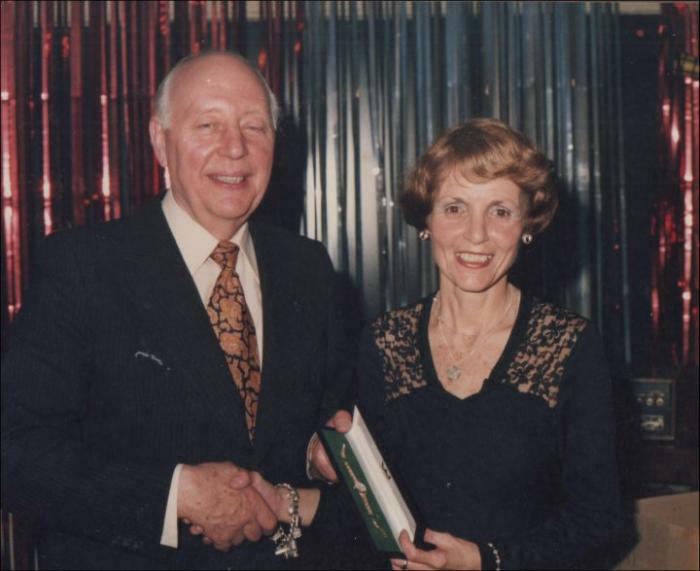 She made a mistake going there (stayed only 9 months); then to Mettoys for 3 years (1966-9) on the assembly making toy cars. Some of the girls were very fit. Then she worked on a farm for 2 years. 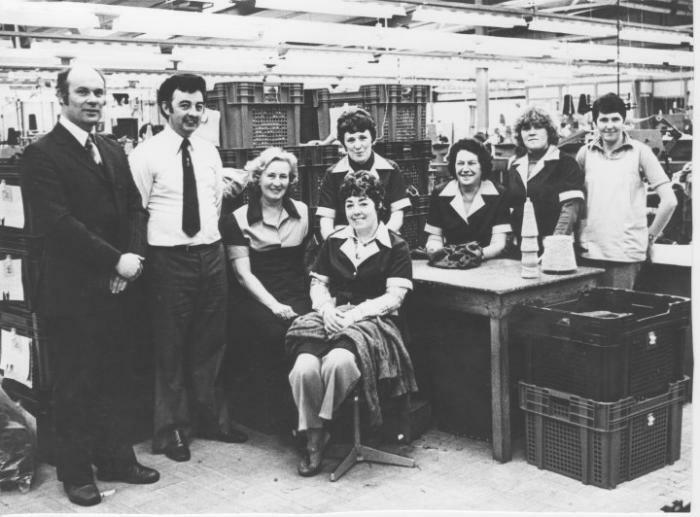 In 1972 she went to Vandervell Products, Splott, Cardiff – for 10 years making car and lorry parts. 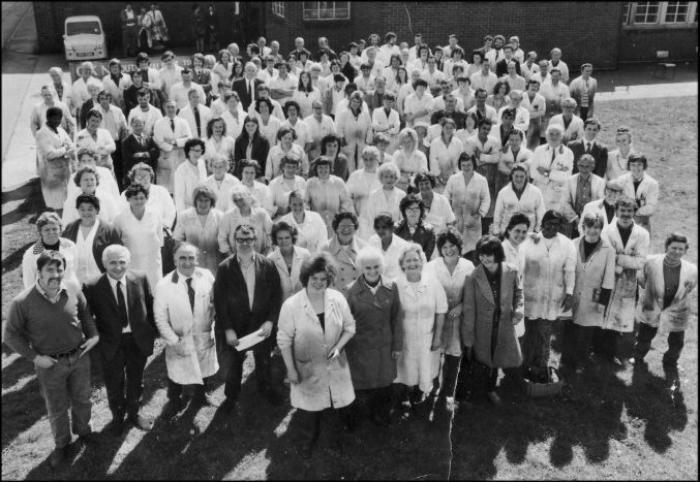 They opened a new department (c.1976) and girls now did the same jobs as the men. One man asked for her help. Interviewed by the BBC about her job as a mechanic. Social club – she played ninepin bowling. Good money. One woman lost her fingers in a machine – compensation. In 1976 there was a strike about being too hot – she refused to join because she believed the company was doing its best. She was sent to ‘coventry’ for 4 months. One woman objected to her speaking Welsh – answered her back. Girls not allowed to work on night shift. Then she got married and worked for periods in Llangadog milk and Carmarthen cheese factories. 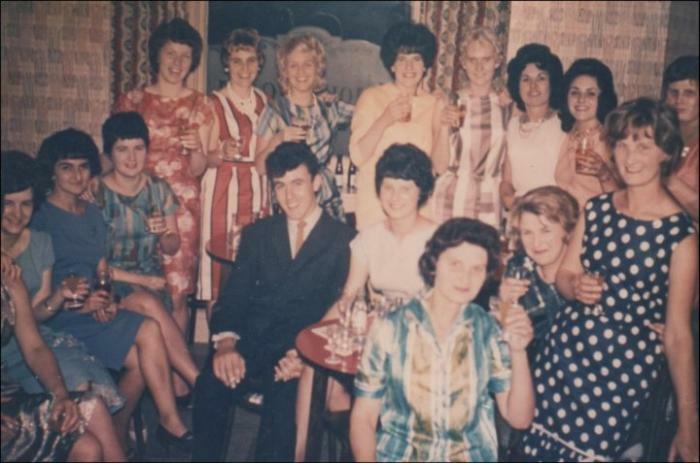 Nan left school at 15 (1965) and started in Deva Dogware that summer. She cut the chains, welded etc, to make leads for dogs and dogs for the blind. It was a small factory and the owner was one of them. There was quite a bit of noise and singing there. She wore old clothes and goggles. They raced to make 50 chains. There weren’t many work opportunities in the countryside. Some workers went up to Crufts. They also made belts for themselves and gaffs for catching salmon. The building was primitive. She learned skills such as using a hammer and saw. She went on trips to Blackpool and London, where she bought white boots. She was in a Welsh pop group with other workers. She left c.1968. She moved to work in Alan Paine's but she didn’t like the factory atmosphere there, where they made jumpers. She left when she became pregnant. 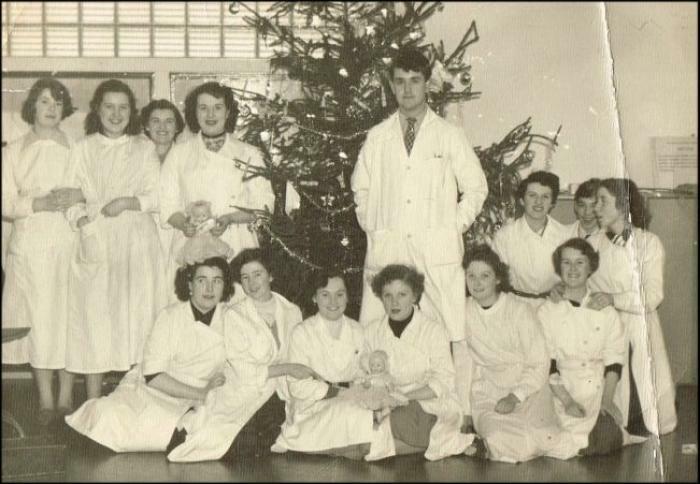 Patricia left school at 15 (1959) and started in a bandage making factory in Penclawdd. She wove the bandages. The experience was horrendous. The factory moved to Garnant. It was cold and the workers walked out (1962). They were employed instantly in Corgi’s. She worked as a linker, progressing to production. Patricia became a trainer and supervisor. Highly skilled work. She notes the gauges etc. ; dancing to rock and roll songs on the radio, cleanliness; building up speed; completed garments sent back to Surrey to be finished. Paine’s (1966) did the whole process. In Corgi’s there was a crèche – but closed because of regulations. She worked as an outworker when children were small (c.1968-73). Some jobs were better payers than others. As staff, not in a Union. Increased Health and Safety regulations. Xmas celebrations - decorating the floor and machines; dinner. Social clubs – and trips. Patricia has tinnitus – from factory work. Visit by Princess Anne. Factory closed in 1998 – she worked there 33 years. Irene left school at 14 (1941) and stayed at home to help her mother for 4 years before starting in Steinberg’s in 1946 (new factory). She worked on the buttons – for skirts and suits. She used to be used as a model to try on some of the clothes. Many of the clothes went to America – they were expensive clothes. On Saturdays they had open days – people could buy seconds. Her sister had a nervous breakdown while there – but she was given a light job to help her get better (she stayed there for 50 further years and got a gold watch!) Music and singing. She couldn’t afford many clothes from the factory. The factory was dry because of the dust from the clothing. It was hot because they were making heavy winter clothes in summer. She stayed there until 1952 and left when she was pregnant. 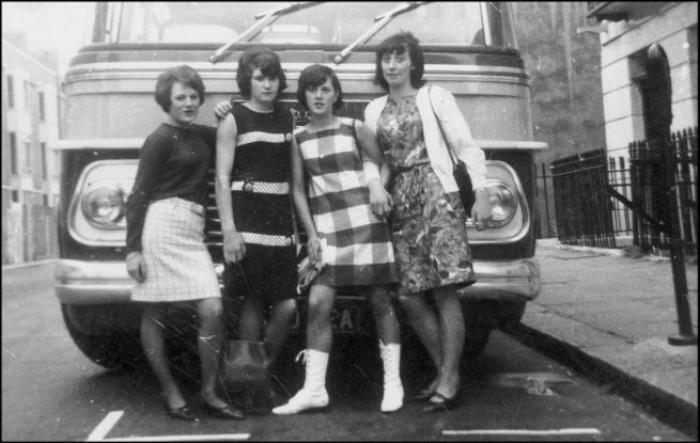 In the early 1960s she went to another clothes factory – Bernard and Lakin. She was there for c. 3 years. Alison did her A Levels and went into the library service. She worked in Alupac during the holidays c 1977. She earned c. £100 a week – good money. Unskilled work – machine presses stamping out aluminium dishes – into baskets. She gathered them up and packed them in boxes. Tiny pieces of aluminium went in her hair and clothes – but scratching skin. Had to ask supervisor to go to the toilet. Hierarchy there. She felt she was different – education was important in her family. The other workers wanted a job that fitted round their families. Machines noisy and fast – pressure. If not on machine, tidying etc. The noise of the machine stayed in her head in the night. The experience made her determined not to follow this career path. Catherine left the grammar school at 16 and after working in a shop, she, like everyone else in the area, went to work in the Tick Tock factory from c.1958 until she had her first child in 1967. She describes learning the craft of getting women’s watches to ‘breathe’ and teasing new girls. She recalls Christmas parties there when she was a child and buying watches cheaply. She talks about the role of the foreman – always a male. It was a clean and happy factory with lots of singing. She remembers both Welsh and English being spoken there and the family atmosphere. 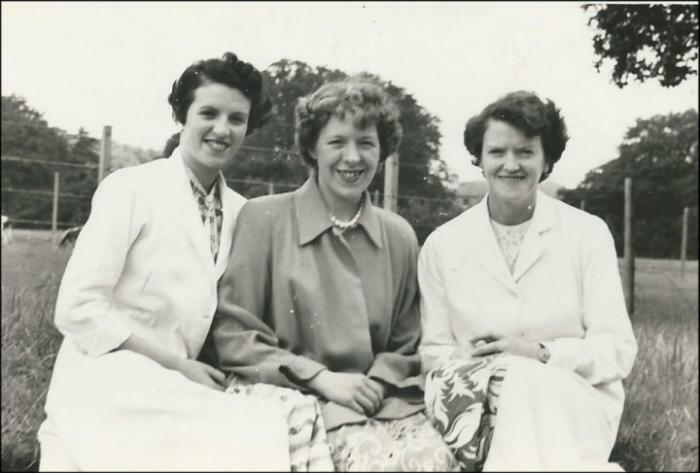 Mary left Pontardawe Technical College at 16 in 1960. After some years in David Evans’ shop she went to work in the watch casing department in Tick Tock (1963). She notes the rules in the gold shop and one serious accident on the presses. She was angry that the factory girls were not offered apprenticeships. It was useful to have relatives in the factory to get a job there. Unionism – she objected to contributing to the Labour Party. She describes the causes of a few strikes. She mentions the nurse and some minor accidents. She left in c.1968 because she wanted a career. Meriel left school at fifteen. She worked in a shop before going to work in the Tick Tock factory from 1955 until 1980, when the factory closed. 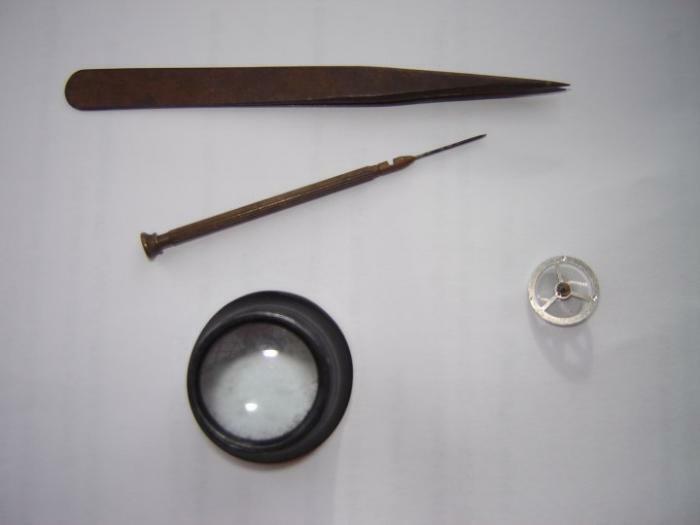 She had to pass an eye-test to get the job, because making the watches was such intricate work. The factory was homely because they spoke Welsh. They weren’t allowed to speak when at work, but they did sing. She mentions the union and striking because of the heat and long hours. 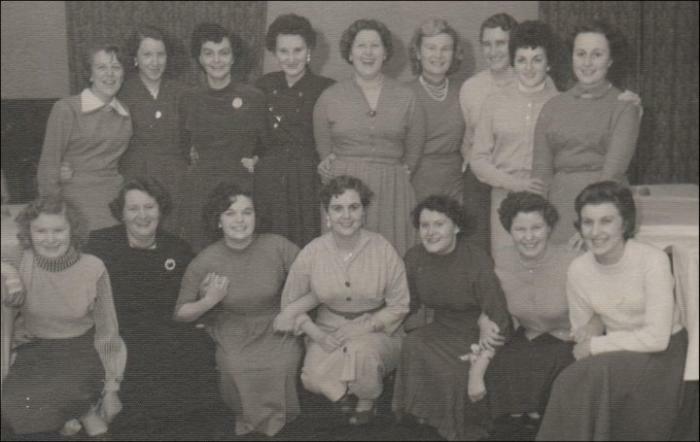 She describes teasing the men at Christmas, and the new apprentices; the Miss Tick Tock competition and the social life.